After nine years of blowing minds, the Nine Knights franchise has re-invented itself with a new title sponsor and a new event format blending slopestyle and skiercross. Meet the Audi Nines, presented by Falken. Well, come to the future! 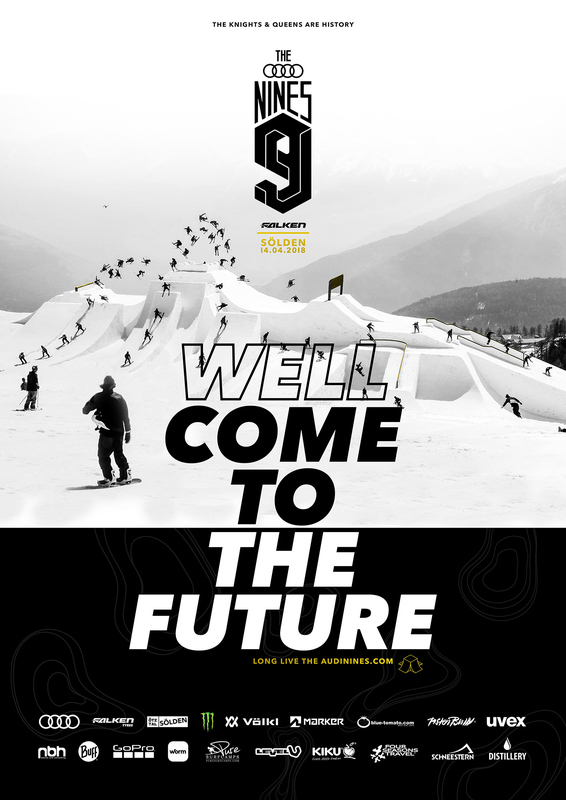 Nine years—that’s how long the iconic Nine Knights events (including various incarnations as Nine Queens and Nine Royals) have captivated the imagination of the snowsports world with revolutionary feature designs and next-level athletic feats from the world’s best skiers and snowboarders. The Audi Nines SlopeX course preview. Long known by its penchant for building fairytale castles out of snow that doubled as freestyle venues for skiers and snowboarders, the Nines franchise now reaches beyond its traditional freestyle base to bring the disciplines of Skiercross and Snowboardcross into the fold. 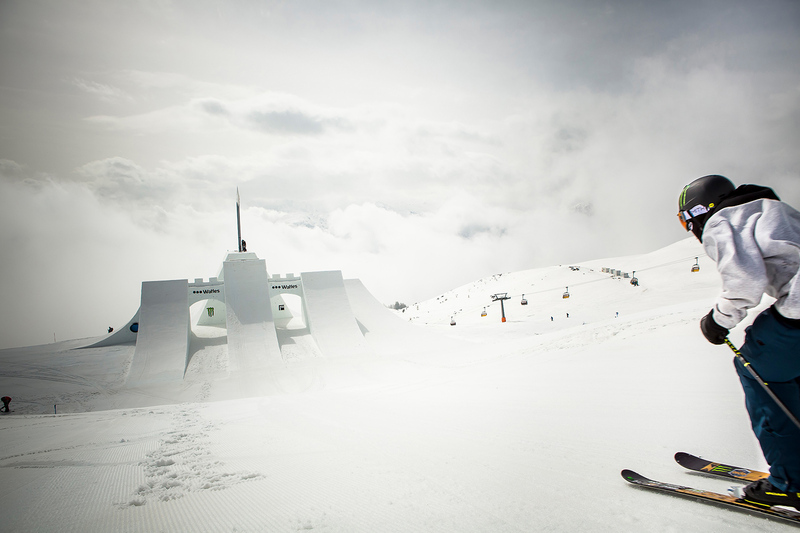 The 2018 Audi Nines course design currently making the rounds across the Internet shows off the groundbreaking new concept—melding slopestyle and skiercross features together into a hybrid masterpiece where athletes from both disciplines will feel right at home, with plenty of opportunities for cross-disciplinary creativity. The list of confirmed riders is already heavy, from old “Nines” favorites like Jesper Tjäder, Emma Dahlström, Lisa Zimmermann and Andri Ragettli, to new highlights like snowboard legends Terje Haakonsen and Xavier De Le Rue. And as in years past, the “Become a Nine” online video contest offers a chance for any male or female snowboarder or skier to win an invite to the event. The “Become a Nine” contest will run through March 22 — visit audinines.com for information on how to enter. The Audi Nines will conclude with a Public Contest Day on April 14, 2018, when the general public is invited to come and watch the gathered crew of top professionals throw down on this innovative course in a relaxed contest format. Mark your calendars for this one, folks, as it’s shaping up to be one of the biggest and best public events yet from the Nines team.